Crossbow hunting is a sport which is becoming increasingly popular and as more people get in on the action, the higher the demand for crossbow accessories that are going to give hunters the edge. 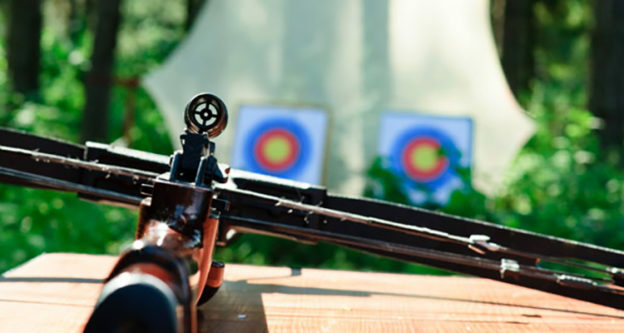 It takes practice and experience to improve your aim, but it certainly doesn’t help to have a good crossbow scope to give you a little helping hand! Even the most experienced of crossbow hunters will tell you the importance of having a really good scope if you are looking to bag a really impressive kill. The question is, with so many choices on the market today, how do you know which scope is the best crossbow scope to buy? As crossbow hunting grows in popularity, so too does the number of scopes on the market. As for crossbow, these scopes range in price and the features that they offer, so it can be difficult to determine which one is the best crossbow scope on the market. That’s why we have gathered up the top five crossbow scopes on the market to help make your decision a little bit easier. One of the best crossbow scopes around at the moment is the Barska 4X32 IR Contour Riflescope. It features low magnification and long eye relief which makes it ideal for close range use with your cross bow. It features a built in sun shade which casts a shadow to reduce glare when used in bright sunshine which is a great additional feature that is sorely lacking in some crossbow scopes. It is also extra rigid and shockproof to withstand recoil. This is not a big deal with crossbow shooting, but if you are also a gun owner then the scope can be used for those to making it great value for money. 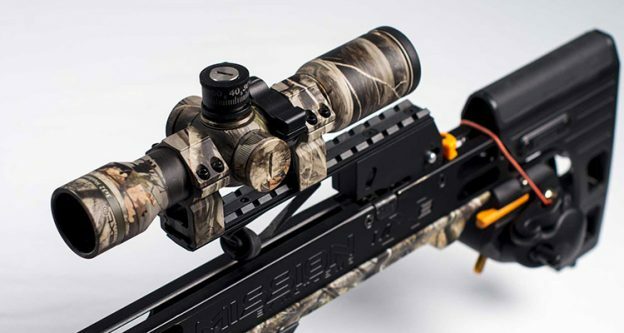 According to many of the crossbow scope reviews for this model, the Nikon Bolt XR Crossbow Scope is really going to help take your crossbow to the next level in terms of accuracy over distance. The scope has 3x Nikon optics that can transmit as much as 92% of the available light for maximum brightness and contrast! There is also an advanced BDC 60 reticle which offers precise aiming up to 60 yards although this will vary depending on your crossbow’s firing speed. The one downside that people mention frequently is the lack of illumination which means it does not excel in low light situations. If you are looking to do a spot of night time hunting then you are going to want to invest in a good night vision scope. These can be on the more expensive side, but are pretty much essential if you want to use your crossbow at night. One of the best night vision scopes around is this Sightmark Photon XT 4.6x42S Digital Night Vision Riflescope. This is such a versatile scope thanks to a total of six different reticles to cover just about any situation or prey! The reticles supplied include two crossbow reticles for use with 320 to 400 FPS crossbows, two duplex reticles, a mil-dot reticle and a German style reticle as well. The Truglo Crossbow Scope boasts a special range finding and trajectory compensating reticle which is going to really help you to improve the accuracy of your shots. It also has a generously sized 4 inch eye relief and rubber eye guard for your comfort while using it. The scope has fully coated lenses which offers maximum brightness and clarity. Not only does the Truglo scope have these great features, but one of the things that has been mentioned in more than one crossbow scope review for the product is its durability. This comes down to the scope’s construction from a single piece of aluminium tube which is aircraft grade and is scratch resistant and non reflective. Rounding out our list of the top five crossbow scopes we have this 4X32mm Barnett Cross Scope. Barnett are one of the most respected crossbow manufacturers out there so it really comes as no surprise that their scope is also among the best crossbow scope options available to you! 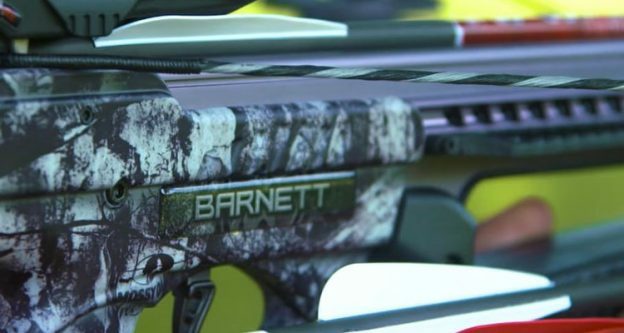 It features a five point programmed, multi reticle crosshair system designed for rapid target acquisition and it is fully compatible with all full size Barnett crossbows. The scope is also water proof and shock resistant. All in all this is a good solid scope choice which is also pretty affordable. In conclusion, we feel that the models discussed above represent the best crossbow scopes available. It should help you to narrow down your choice and make picking out the right scope for you. The crossbow scope that best fits your requirements is going to depend heavily on what you need the scope for and how much you are looking to spend. That is why it is best to take a closer look at the top 5 scopes that we have suggested and see what kind of features they have to offer. If you compare some reviews for each of them you will find it easy to decide which is the best.